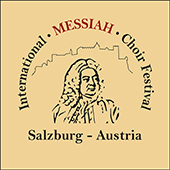 Every year, since more than 10 years, the "Messiah" is being sung in Handel's birth town Halle an der Saale in a large ensemble according to the motto "Happy Birthday, Handel!". Already W.A. Mozart valued Handel's works highly and arranged some of his creations in the style of the 18th century.